Dirty Talk 6.0 broke all notions of what makes sense and doesn’t with a fabulously grand party centered on the open word on January 31st, 2014. Audacious. That was what it was. Dirty Talk 6.0 was AMAZINGLY AUDACIOUS !! 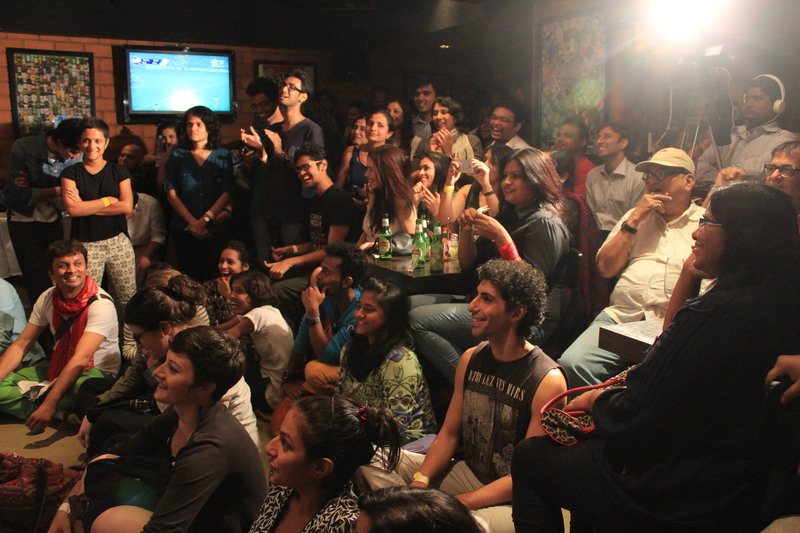 A mere month and 2 weeks after a medieval ruling, a mere 2 days after a horrific refusal to review and a day before Mumbai Pride – Dirty Talk 6.0 broke all notions of what makes sense and doesn’t with a fabulously grand party centered on the open word on January 31st, 2014. Oh, the best part? It was held right opposite a police station. What was originally imagined to a be a small intimate affair, with performers old, new and well known to celebrate the very existence of LGBTQ people in the world, became a tight knit jam-packed night of revelry with hoots, laughter and then some! 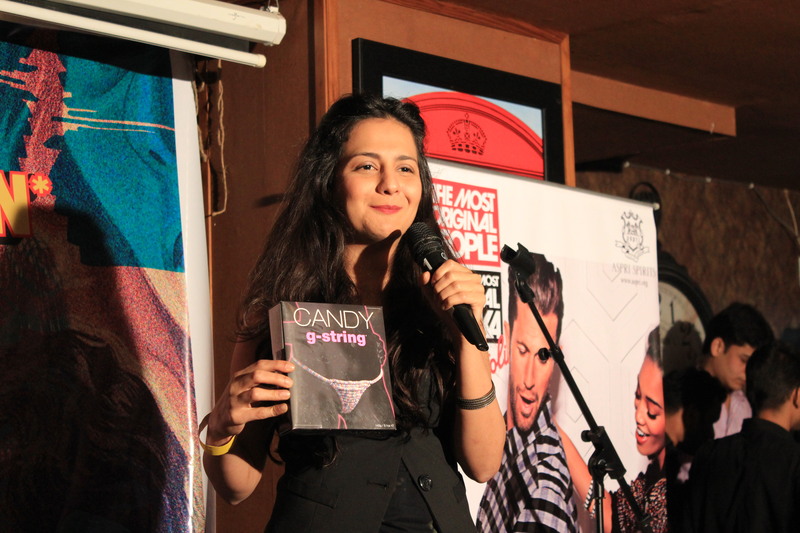 This time around, we had Pooja Ruparel as MC who led the night’s proceedings. 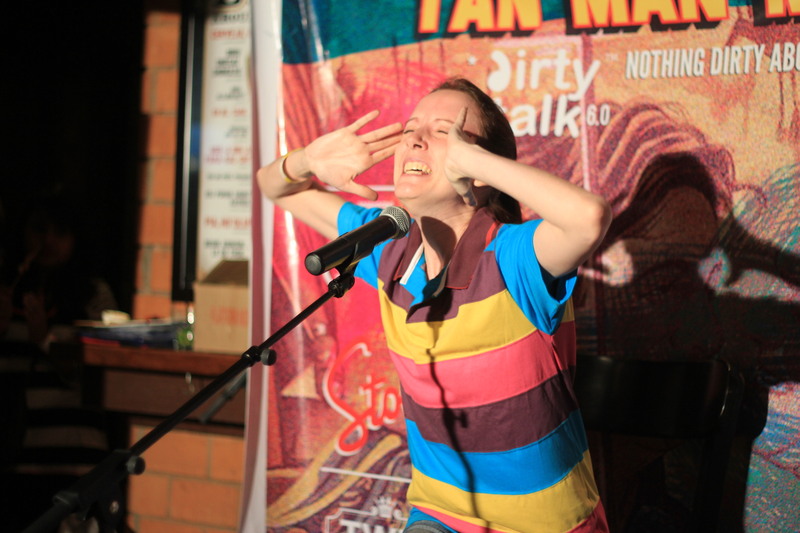 Last Dirty Talk, Pooja displayed such hilarity in her performance that we had to have her back anyway possible. We also had Samir and Team from That’s Personal and Stolichnaya Vodka supporting the event. And the performers! Where do I even begin? 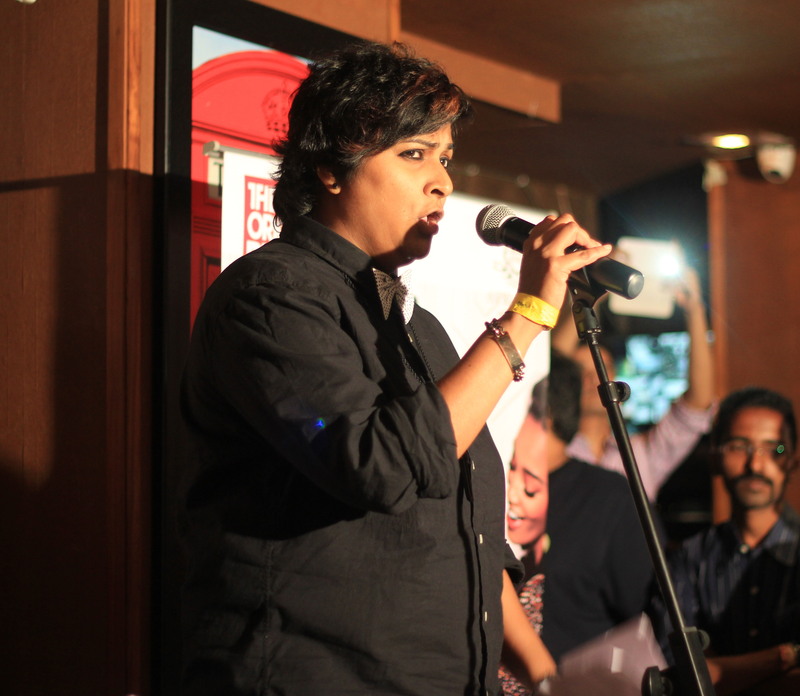 This time the community did represent in what a wonderful way – we heard stories from Harish Iyer to Pallav Patankar, from the tales of living with HIV and to the woes of not being a Lesbian. 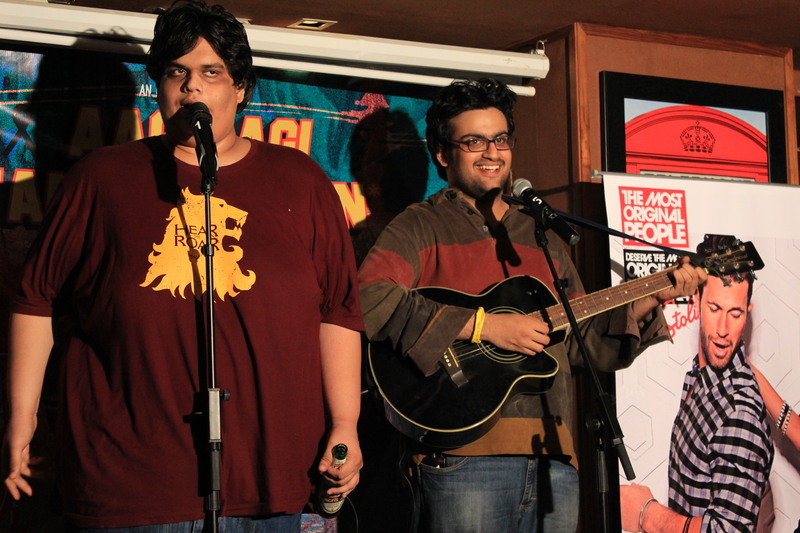 Live Performances from Siddharth Basrur, Kathryn Doshi, Rohan Joshi and All Indian Bakchod elevated the evening into altitudes never before seen. And then there was Kalki Koechlin. Yep, Kalki Koechlin. What a star. And I don’t even mean that in the Bollywood-celebrity-graced-our-event-with-her-presence way. She really was a star !! 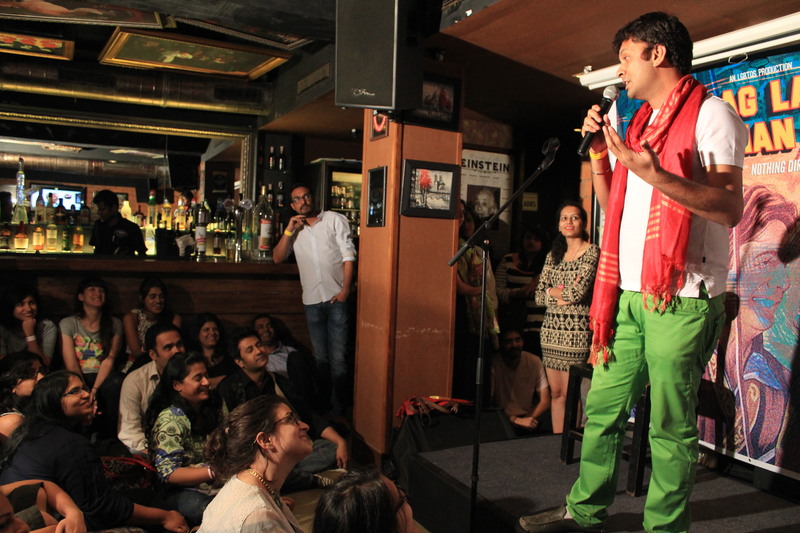 With an impromptu gig with Siddharth Basrur, to partaking in shout outs from the crowds and performers and just very simply RSVP-ing to the event and sticking around for all of it – Kalki was and is a star. This Dirty Talk was significant to The Gaysi Family and the Queer Community at large in many ways. 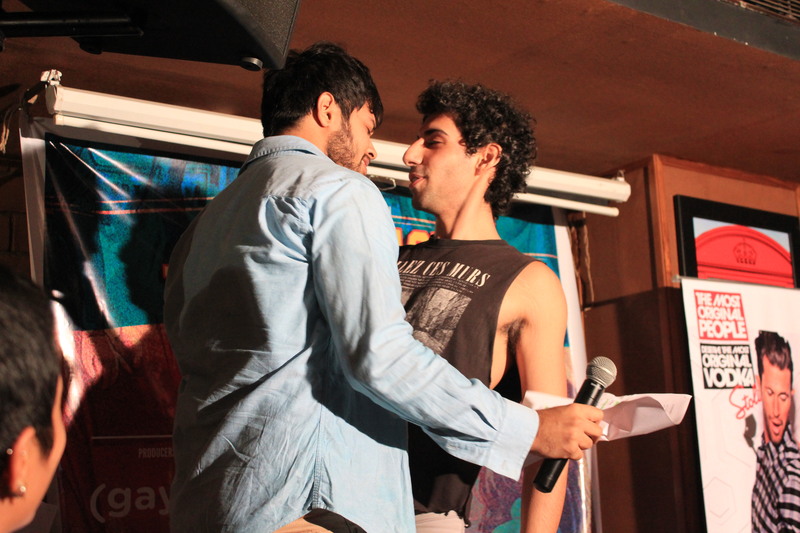 We had many folks from different cities fly out and attend the event and pride the following day, we were able to raise a good chunk of money for Queer Azaadi Mumbai and we didn’t let a mere Supreme Court ruling stop us from bridging the Queer and mainstream as we have done through so many Dirty Talks now. We all know the fight continues, but when it gets weary with the bureaucracy and naysayers, its nice to know we can have a little good old fashioned fun laughing at others and ourselves to keep us going till we succeed. 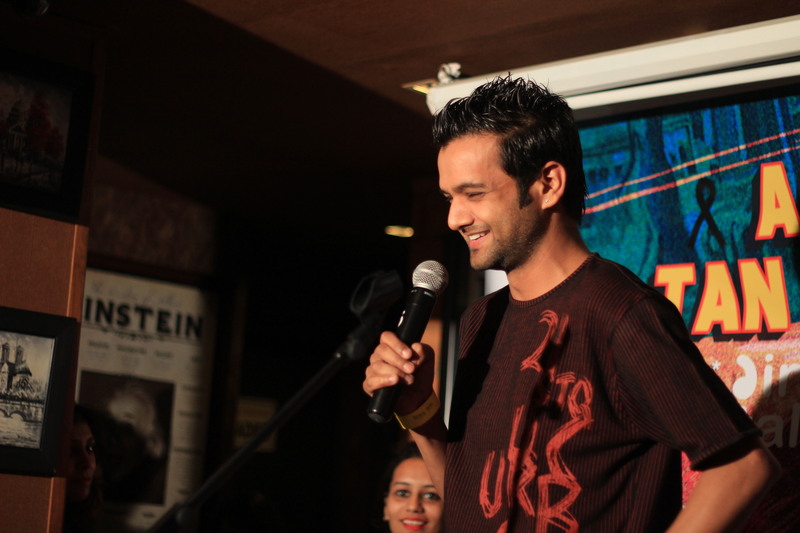 Next post Mumbai Monologues : A Thousand Unsaid Words.